Home/Blog/Tips/Does my dog have separation anxiety? Does your dog seem to get really worried when you’re about to leave the house? Does he follow you around from room to room when you’re packing up your suitcase? What about when you’re away? Does he tend to act abnormally and seem to misbehave when he’s left alone? Does he “go crazy” when you return and act like you’ve been gone for ages? If the answer to many of these questions is yes, your dog may suffer from a very real thing: separation anxiety. He may experience a high amount of stress when you’re away and deal with this feeling of panic by howling, going potty in the house, scratching at doors or windows, chewing on things he shouldn’t, or carrying out other forms of destructive behavior. You may feel like your dog is seeking revenge on you for leaving him, but this is not the case. He’s dealing with his distress the only way he knows how. Now, for anyone whose dog does not actually have an anxiety problem, your dog may in fact be misbehaving and taking advantage of your absence. To know for sure, talk to an expert or your veterinarian, but if your dog shows several of the signs mentioned above, there’s a good chance he does suffer from this disorder. Why do only some dogs experience separation anxiety? Experts are still trying to figure out exactly why some dogs experience these feelings while others don’t, but there seem to be several common threads linking many different cases together that may offer some clues. Here are several reasons dogs may feel such distress when their owners leave. A dog is extremely attached to his owner. Some dogs are so dependent on their owners that they follow them around from place to place and constantly require attention. When their owner leaves, they panic. A dog experiences a trauma. Many dogs that suffer from SA come from shelters. The dog may have felt abandonment when left there by his previous owner, or maybe he experienced abuse at some point in life. Another “traumatic” event that may cause SA is a death in the family or even a family member suddenly moving away. If your dog is highly attached to this person who has been removed from his life, he may become confused and distressed by the event. A puppy was separated from his mother too soon. Removing a puppy from his litter too soon can affect his behavior for the rest of his life. If your dog was taken away from his mother too soon, he could grow up lacking the social skills needed to properly deal with certain events, such as being separated from people he grows attached to. A dog may be anxious by nature. Some dogs don’t have to experience something traumatic to have SA. Sometimes it has to do with the way his brain functions. According to dogshealth.com, low serotonin levels may be associated with anxiety-related conditions in both dogs and humans. In general, it seems that the breed of a dog does not play a major role in his likelihood to develop separation anxiety. It seems to have a lot more to do with certain life experiences and how he is treated by his owner on a regular basis. How can I help my anxious dog? Minimize your arrival and departure. Don’t make coming and going into a big deal. When you get home, try to act casual and ignore your dog for a few minutes before you acknowledge him, then calmly pet him. Leave your dog with something with your scent on it, such as an article of clothing. Create a safe place for your dog to stay until you return, such as a bedroom with windows. Leave him in a place he feels safe (but not crowded) with plenty to keep him occupied while you’re away! Add another dog to the mix. In general, the anxiety your pet feels is due to his separation from you, not necessarily from being isolated or left alone. Companionship of another dog won’t take your place. Punish your dog for anxiety-related behavior. This will only make the problem worse and increase your dog’s stress level. Leave your dog in a crate. For many dogs who suffer from SA, being left in a confining space will only worsen their anxiety and may result in injuries if they attempt to escape. 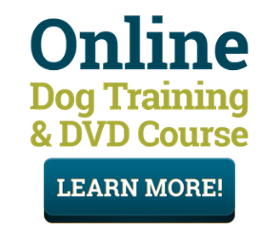 If you’re looking for a dog training program that works, try The Dog’s Way Training Course! Sean McDaniel, creator of The Dog’s Way, designed the program based on how dogs interact socially with one another. He takes on a more natural approach than many other dog trainers out there; he doesn’t use food as his primary training tool. If you have any questions about this course, dogs, or training in general, send your questions directly to Sean! If you think you want to dive right in and get started with the program, click on the button below! The information contained in The Dog’s Way website is presented as public service information only. It is not intended to be nor is it a substitute for professional veterinary advice. 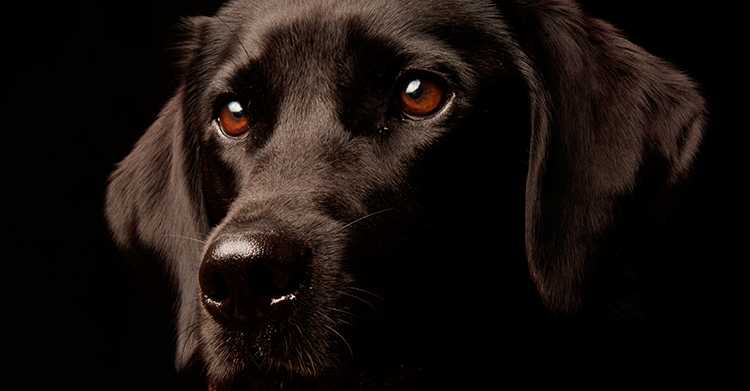 Consult with your vet for diagnosis of and questions about your dog’s condition. The Dog’s Way occasionally supplies links to other web sites as a service to its readers and is not in any way responsible for information provided by other organizations.